The Global Database of Events, Language, and Tone (GDELT) is the most recent computer-generated events database and has recently received some attention concerning the accuracy of its coding. 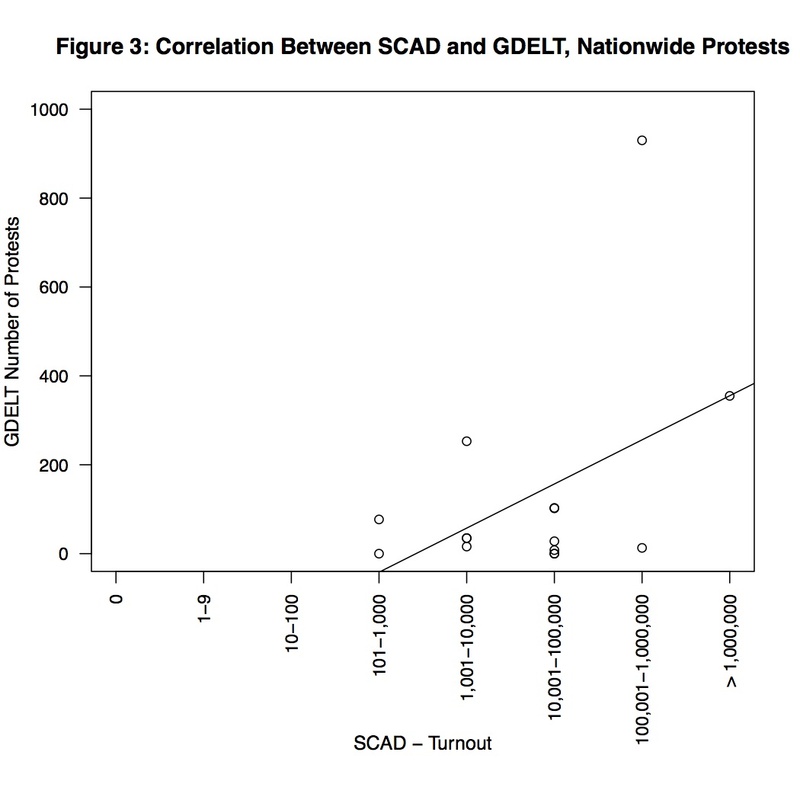 This post analyzes GDELT’s data from three different angles to argue that computer-generated events data is quite accurate, so long as one’s goal is not to measure the True number of events for one’s study. 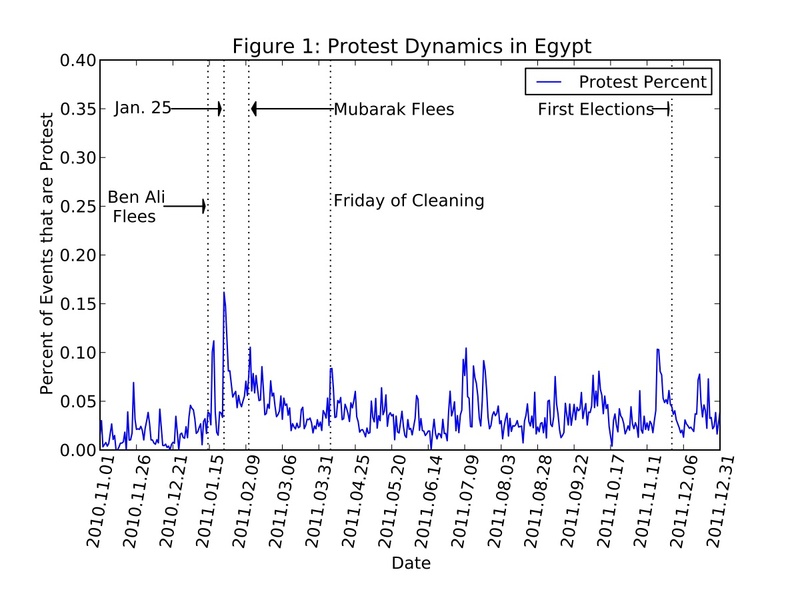 GDELT’s recording of Arab Spring protests compares favorably to hand-coded events dataset, and a cross-sectional comparison of GDELT’s protests figures matches actual events during the Arab Spring. 2. An oldie (not necessarily a goodie) discussing trade-offs between hand coded and automated coded: Davis, David R., Brett Ashley Leeds and Will H. Moore. 1998. “Measuring Dissident and State Behavior: The Intranational Political Interactions (IPI) Project,” presented at the Workshop on Cross-National Data Collection, Texas A&M University, November 21 . It’s worthwhile to note that SCAD is also drawn from news reports (AFP and AP). 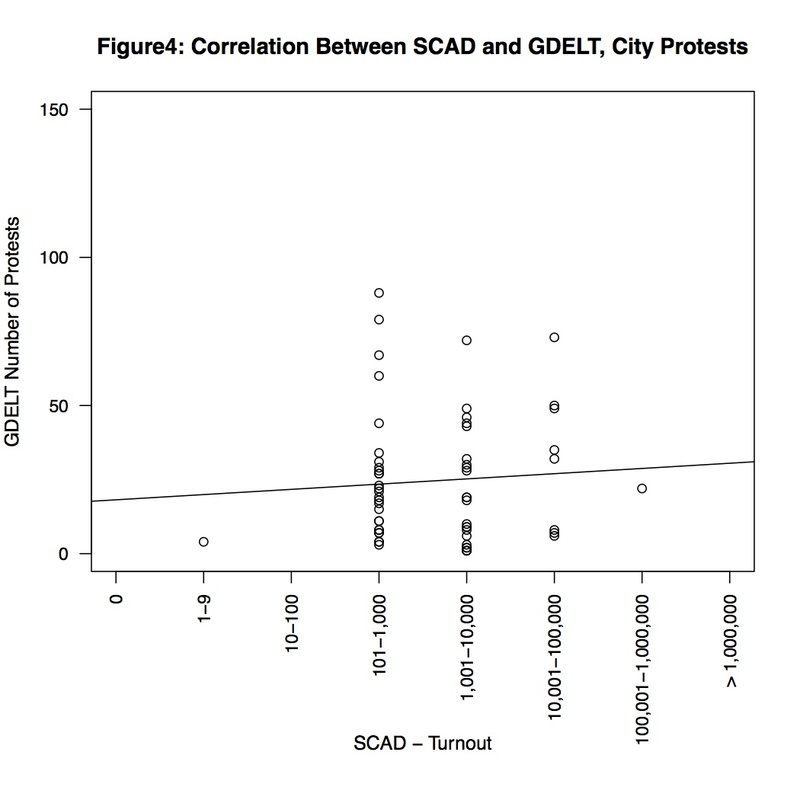 So the latter assessment checks whether the machine-coding picks up the same variations in protest activity as reported in news wires.